Following the recovery of a used syringe outside the room of an Indian boxer on Friday at the Athletes' Village in Gold Cost (Australia), the Commonwealth Games organisers are targeting all Indians for dope test. All boxers were asked to give their urine samples for testing. On Monday, it was the turn of the gymnastics contingent, while the weightlifters were tested late on Sunday. In what is being seen as a fall-out of the breach of the No-Needle Policy of CWG, the Indian athletes have been cornered by the Australian Sports Anti-Doping Agency (ASADA) to give their samples on their arrival at the Athletes’ Village – even before checking into their respective rooms. The message from the organisers to Australia’s anti-doping officials for Indian athletes is clear – spot them, test them. 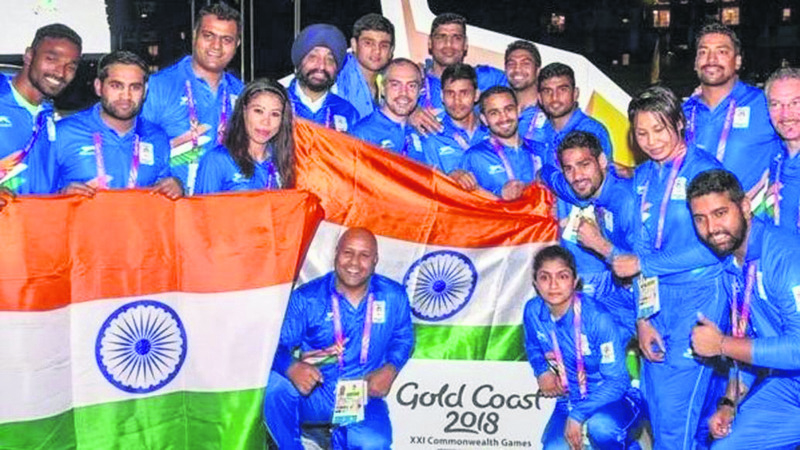 India has sent a 219-member athletes’ contingent to Gold Coast. While it’s normal for the host country’s anti-doping watchdog to collect samples of all participating athletes to ensure that the Games remain clean, the manner in which the organisers and ASADA officials are going about their business is something unprecedented and unheard of. Indian athletes are facing a tough time evading the anti-doping officials, an Indian coach said. “Athletes wanted to rest in their rooms after a long flight, but here they were asked to give their samples even before settling down properly. It’s not only harsh on these athletes, but embarrassing as well. Just because of the fault of some athlete, the entire contingent is being looked upon with suspicion,” the coach said. Sources even said that there are rumours that some ASADA officials have mingled with the village house-keeping staff to keep an eye on the athletes. It seems that after the syringe was found stuffed in a crushed plastic bottle in the bin outside the boxer’s room, the organisers want to leave nothing to chance. They have already informed that a decision on the said boxer’s further participation would be taken before the opening ceremony on April 4. While the boxer has denied any such alleged involvement, team officials have reportedly admitted to the use of syringe but for a ‘medical purpose’. India’s boxing high performance director Santiago Nieva said that the syringe was used to administer “vitamin substance” to an ill boxer. However, Commonwealth Games Federation (CGF) chief executive David Grevemberg has said it is a “clear breach” of the No-Needle Policy inside the village. It’s pertinent to mention here that ASADA had entered into an agreement with India’s National Anti-Doping Agency (Nada) last year to share whereabouts of athletes as part of their pre-CWG dope operation.